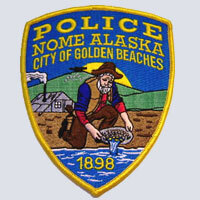 Nome’s colorful Gold Rush history is set within the framework of 10,000 years of Inupiaq Eskimo history. A history of survival living a subsistence lifestyle that many live to this day underscores the vibrancy of the Eskimo culture. The culture that today manifests itself in the world’s finest ivory carving, vibrant drum/vocal music and some of the best Eskimo dancing in Alaska. The Inupiaq values of yesterday live in the people today. 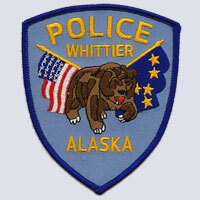 The Whittier Police Department is a municipal law enforcement agency staffed by a Chief and two full time police officers. Seasonal officers are added to handle the increased traffic during the summer months due to the increase of vehicle and foot traffic. 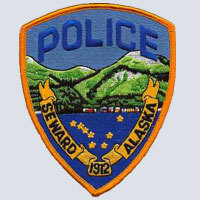 The Seward Police Department is dedicated to providing honest, efficient, and effective Law Enforcement Services. We are committed to provide the highest quality of service, preserving human rights, lives and property, and working in partnership with our citizens to meet the challenges of reducing crime and encouraging voluntary compliance with all laws. The City, or Native Village, of Kotzebue is located 33 miles North of the Arctic Circle on Alaska's Western coast. The city has a population of 3,600. 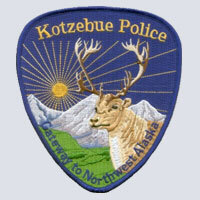 The Kotzebue Police Department was formed in 1969. The department operates one of the largest state contract jails and receives prisoners from an area of about 32,000 square miles. Visit the jail, meet the Officers, find information on safety and the law. Visit links of businesses from or in the Native Village of Kotzebue. 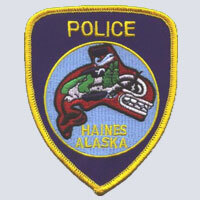 It is the mission of the Haines police department to provide professional law enforcement services using the best police practices and resources in an appropriate, organized, and cost-effective manner to the residents and visitors of the city of Haines , while respecting the rights and dignity of the persons. 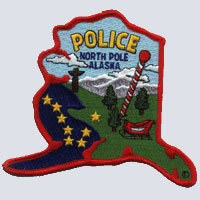 The North Pole Police Department is here to serve the citizens and visitors of our fair city. Since becoming a city in 1953, we have strived to provide the best service to our community and do so today with the most up to date equipment, training, and qualified personnel. 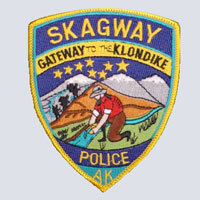 The mission and purpose of the Skagway Police Department is to protect and serve all who live, work and/or visit our community by enforcing all laws fairly and without bias. The Police Department operates with 7 full-time and 4 seasonal employees. Juneau is Alaska's capital city. It is located in the "panhandle" of Southeast Alaska and is approximately 500 miles southeast of Anchorage and 900 miles north of Seattle. Juneau is accessible only by air and sea. 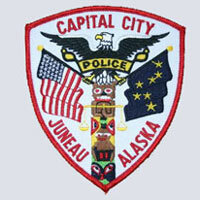 The Juneau Police Department provides general police services to the citizens of Juneau, Alaska covering an area of 3,081 square miles and a population nearing 31,000. 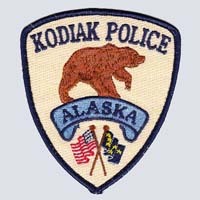 The primary mission of the Kodiak Police Department is to coordinate and lead efforts within the community to preserve the public peace, protect the rights of persons and property, prevent crime and generally provide assistance to persons in urgent situations.